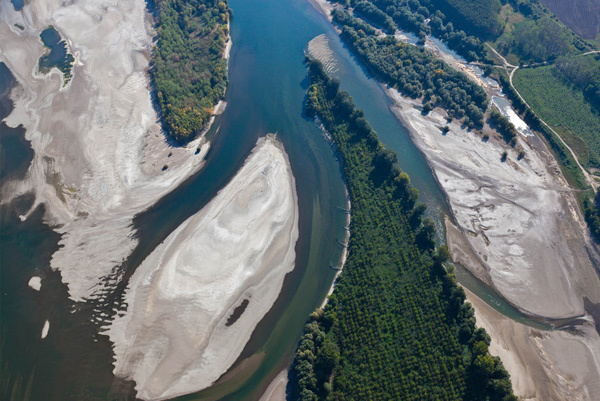 The WILDisland initiative aims to preserve natural Danube islands as flagship habitats for river dynamics. The Danube Wild Island Habitat Corridor contributes to strengthen the ecological connectivity and to preserve natural wilderness that exists in the heart of Europe. The WILDisland map presents the results of the first inventory of Danube islands: over 900 islands were identified along the Danube River which cover an area of more than 138,000 hectares. Due to their pristine and natural character, 147 islands could be classified as “category A” – these are completely natural islands, representing true river wilderness. Category B refers to islands with a high ecological value and naturalness, but with small human alterations (forestry, river regulation, land use, etc.). Category C presents all other islands that are subject to major human uses but still: they also have ecological values and functions in the Danube Habitat Corridor. The interactive map provides some key details about each island: size, main habitats, origin of its development, river morphology in the respective river section as the main driver for island formation. To preserve the wilderness character of the most natural islands (category A), the DANUBEPARKS initiative will award them as WILDislands – as a special and informal certification attributed together with responsible landowners, land users and other key stakeholders. The Danube is an ecological corridor of European importance. Together with its diverse habitats it forms the green lifeline for biodiversity in Central and South-East Europe. Along the river course, more than 900 islands cover an area of 138,000 hectares. These sites represent still intact river dynamics; they demonstrate the original beauty of natural rivers, hosting valuable habitats with a unique flora and fauna. They differ strongly in their size, structure and origin, but together they form the Danube Wild Island Habitat Corridor. 147 islands were identified as the most natural islands, representing some of the rare wilderness areas in Europe. 3,000 river kilometres, 9 Danube countries, 900 islands – the WILDislands act as stepping stones crossing all borders! Select island character, hydromorphology, origin, habitat structure, afterwards, the Danube map shows the filtered results. WILDisland – The Danube Wild Island Habitat Corridor is launched and promoted by DANUBEPARKS. The WILDisland Initiative was created under the coordination of Duna-Ipoly National Park Directorate. The WILDisland inventory has been developed with the external consultancy of the Environment Agency Austria and Fluvius, supported by all DANUBEPARKS partners. It has been co-financed by World Heritage Municipalities Wachau. The WILDisland online tool is under development in cooperation with the EU-DTP Interreg project Danube STREAM. The DANUBEPARKS Network of Protected Areas preserve and restore the most valuable habitats of this international river, thus safeguarding an important part of Europe’s natural heritage for future generations. 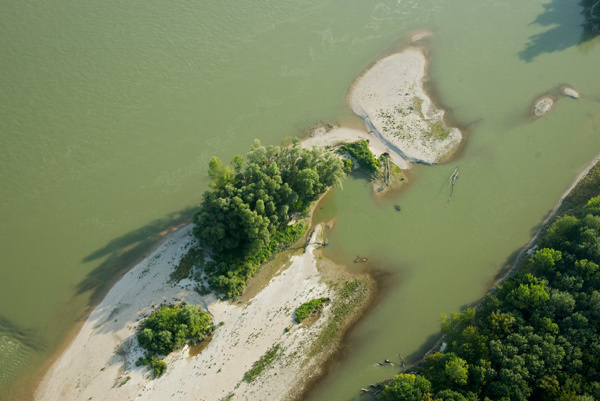 WILDislands are flagship habitats for the efforts of Danube Protected Areas to preserve wilderness, biodiversity and other fascinating natural values. Cross-border and transnational cooperation is an indispensable part of this work. DANUBEPARKS promotes harmonized actions to maintain and strengthen the ecological qualities, notably its connectivity from the Danube source up to the Black Sea, as shown by the Danube Wild Island Habitat Corridor.